Fridge, dishwasher and stove funds available with appropriate offer! Inviting soft contemporary in the heart of West Little Rock! 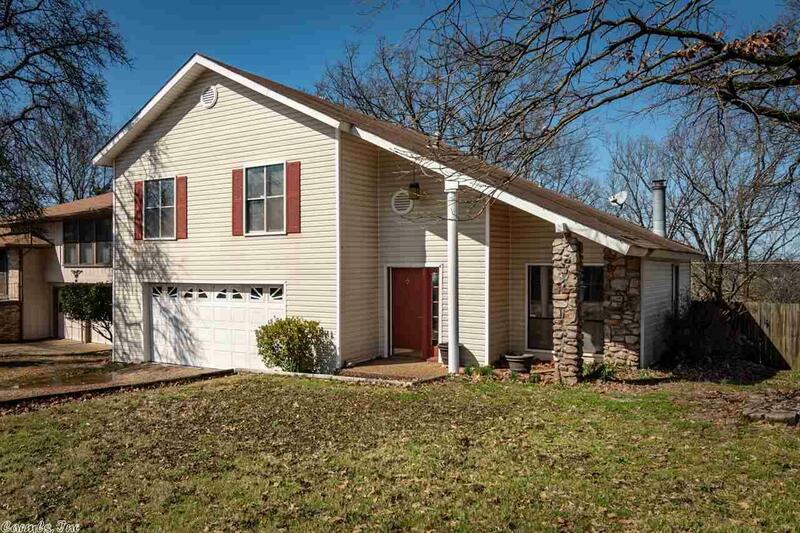 You'll find a large great room with a handsome stone fireplace and hardwood floors. (Don't miss the half bath!) Eat in kitchen with double doors to the deck overlooking the private backyard. Upstairs are three bedrooms, two baths, clean carpets and a second deck overlooking the back yard. Blooming peach tree and fresh peaches. Call me and let's talk!